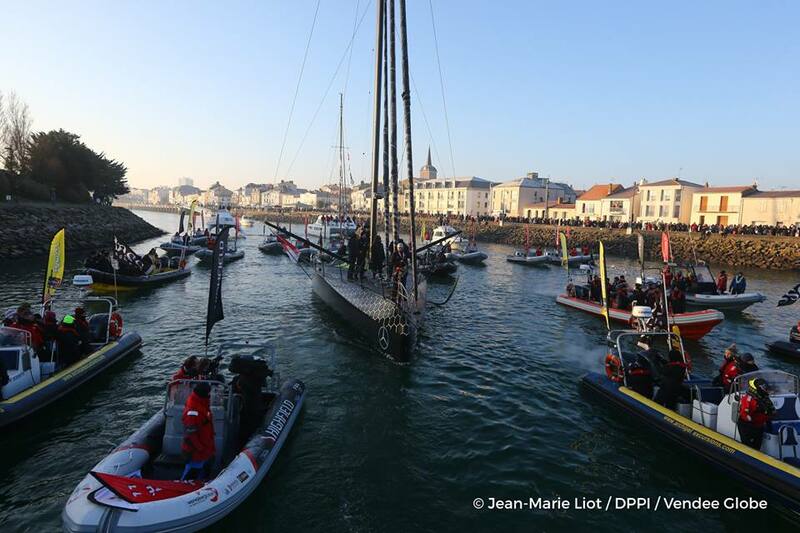 The 2016/2017 Vendee Globe winner arrived back in Les Sables d’Olonne on Thursday 19th January, 2017. The thirty nine year old Frenchman Armel Le Cleac’h won the race in a record 74 days, 3 hours and 35 minutes. 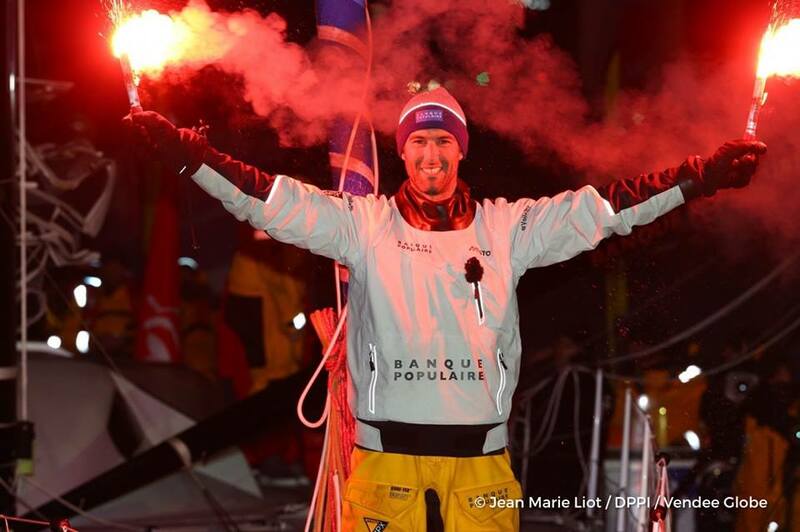 He crossed the finish line at 15.40 yesterday before sailing into Les Sables to an impressive firework display and a few thousand supporters lining the harbour walls. 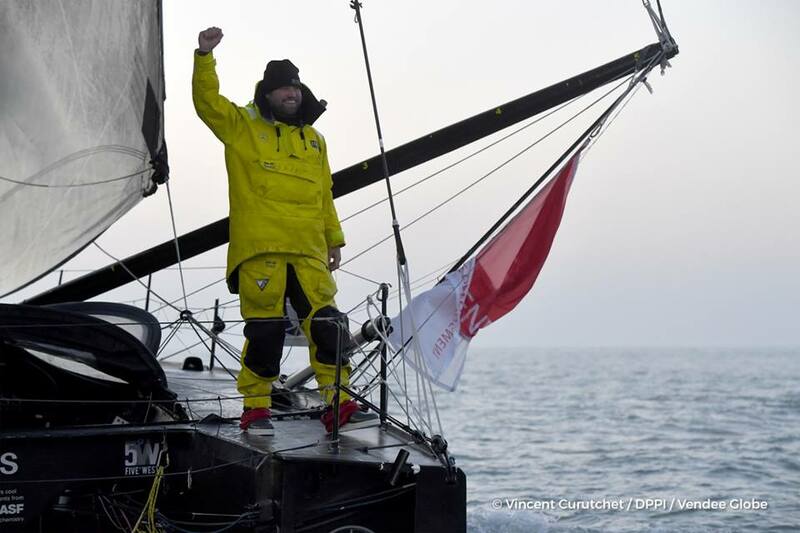 In second place was the Welshman Alex Thomson who arrived back into Les Sables today, only sixteen hours behind the winner after 27,000 nautical miles of sailing! Thomson led the race from the beginning and had increased his lead to over a hundred miles in front before one of his hydrofoils was ripped off the bottom of his boat in November. The accident cost him a lot of time and he was over a thousand miles behind the leader at Christmas. 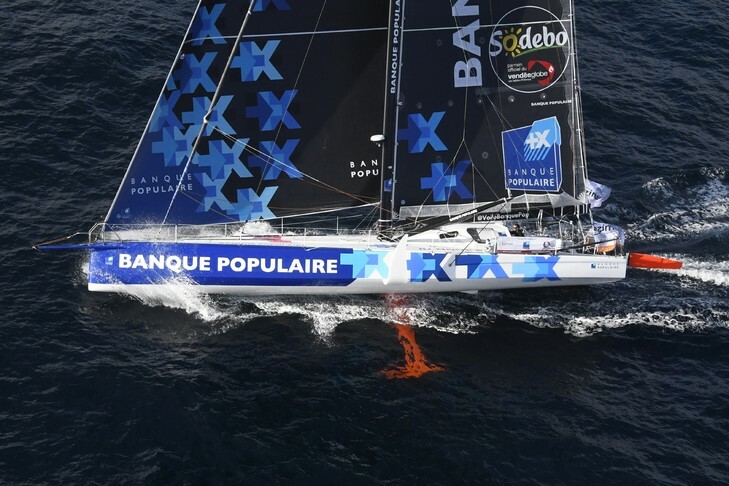 The remainder of the Vendee Globe fleet is still spread out over thousands of miles and some of the sailors won’t be arriving back into Les Sables d’Olonne until April/May. Eleven of the originally sailors have already retired from the race mostly due to problems with their yachts. 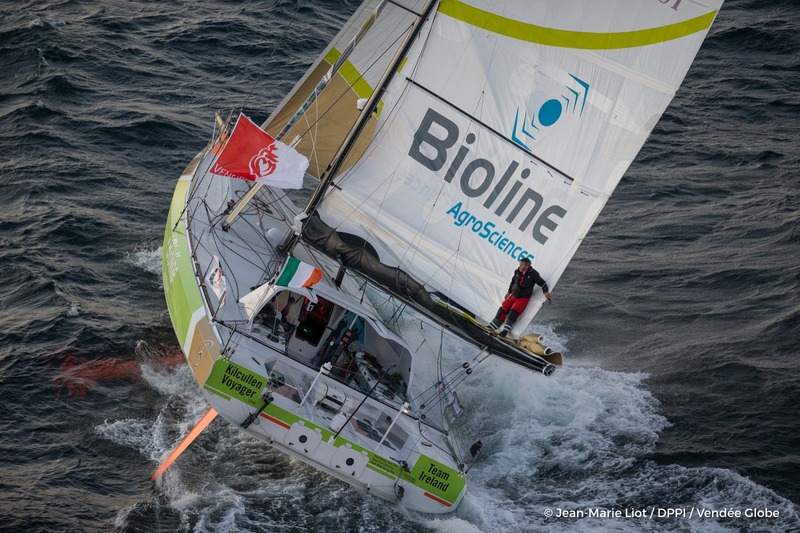 Including Enda O’Coineen, the first Irishman to enter the Vendee Globe, who had to retire due to his mast breaking in high wind early in January. His boat is currently being repaired in New Zealand and he intends to continue on with the journey and become the first Irishman to sale solo around the world. We are taking bookings for summer 2017…..send an email to info@thomasjamesholidays.co.uk or give us a ring on 01942 602104 if you seeing Les Sables d’Olonne and Vendee Globe this summer!